Lab Services State-of-the-art analytical testing laboratory provides data you need to run your business. On Site Testing Less than 4 seconds to objectively verify drug identity and strength in your facility. CQI Program Use our expert knowledge of the pharmaceutical industry to help you grow your business. of each section. Click the puzzle piece once to freeze that information. Each of these systems is a source of valuable data that can be used to pinpoint critical areas for improvement, that can then be fed back into the system in a cycle of continuous improvement, resulting in higher quality, greater efficiency and lower costs. Each turn-key system is comprised of the necessary SOP’s, forms and tracking mechanisms that will serve as a starting point for the client. For additional information on each system, please hoover over or click on a puzzle piece. Not every new procedure or change to an existing procedure results in an improvement. Therefore, the implementation of new procedures or changes to existing procedures emanating from the CAPA system must be managed, and then monitored to determine effectiveness. Whether the issue is a customer complaint, audit/inspection observation, deviation or OOS result, the goal of the ensuing investigation is to identify the root cause and implement corrective and/or preventative actions to eliminate or minimize the probability of the issue reoccurring. 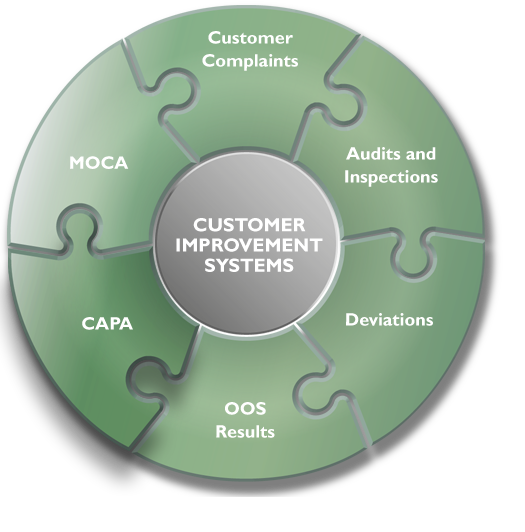 Capturing and trending CAPA’s is an important source of information to determining if your improvement system is effective. Monitoring products and production systems with a comprehensive testing and inspection program sometimes results in an OOS result. Capturing, investigating and trending OOS results and implementing corrective and/or preventive actions, is a critical to minimizing the probability of future OOS results. 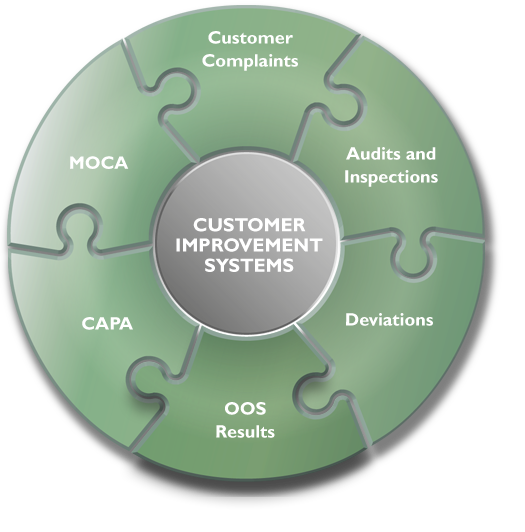 A good system for managing deviations from internal procedures is critical for tracking corrections to procedures that could not be followed due to internal or external circumstances. Capturing, investigating and trending deviations is an import source of information for identifying opportunities for improvement. Client audits and regulatory agency inspections are a valuable source of information for identifying quality and regulatory issues with your quality systems. Capturing, investigating and trending both internal and external observations is critical to addressing both quality and regulatory issues. 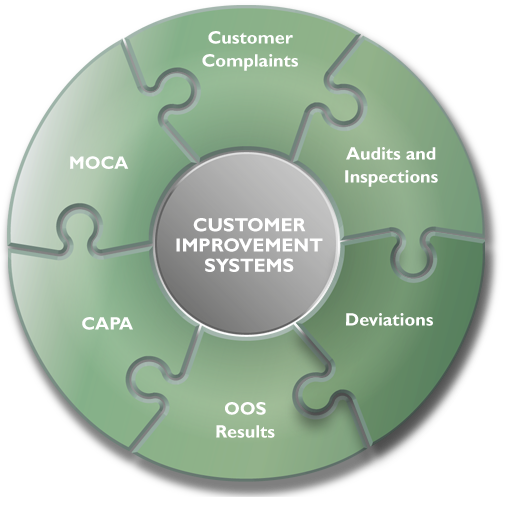 The number and type of customer complaints is an indication of the inherent quality of the products and services supplied to your client. Capturing, investigating and trending complaints is critical to identifying hidden quality and service issues. DYNALABS LLC is registered with the U.S. Food and Drug Administration (FDA), DEA and Bureau of Narcotics and Dangerous Drugs licensed, as well as ISO 17025 accredited. The products and services provided by DYNALABS are protected by U.S. Patent Nos. 7,197,405 and 7,660,678. © 2019 DYNALABS LLC. All Rights Reserved.